The NYT has the story here. 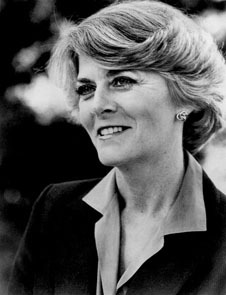 Ms. Ferraro was the first woman nominated by a major party as a Vice Presidential candidate. She was Walter Mondale’s running mate in 1984.
young teenager, I was inspired by Ferraro. I bought her book Ferraro: My Story with money earned from babysitting. Her candidacy was the first major crack in the political glass ceiling. Let’s hope for many more.